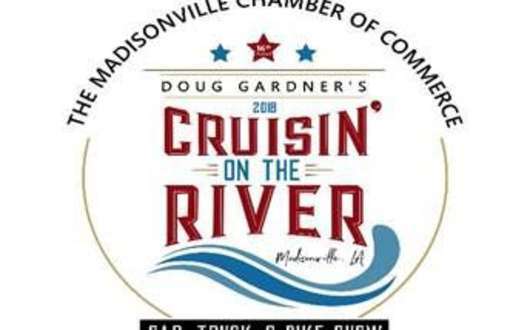 The historic Madisonville riverfront will be the backdrop for hundreds of antique, classic and custom cars, trucks and bikes at Doug Gardner's 2019 Cruisin' on the River Car, Truck & Bike Show. The 17th annual takes place May 18 from 8 am until 2:30 pm . Renowned as one of the best auto shows in the South by car enthusiasts, the event draws hundreds of vintage vehicle owners and aficionados from across the region. Car owners are invited to enter their prized possessions in the show in hopes of driving away with a prize, including the Best in Show Award, which, in addition to bragging rights, comes with a plaque and will feature the vehicle on the following year's show flyer. Categories in the show are: Pre-1949 Street Rod; 1949-1985 Custom/Muscle Cars; Pre-1985 Original/Classic Cars; Mustangs (all years); Corvettes (all years); Tri-Five Chevys; Pre-1985 Trucks; and Rat Rods. 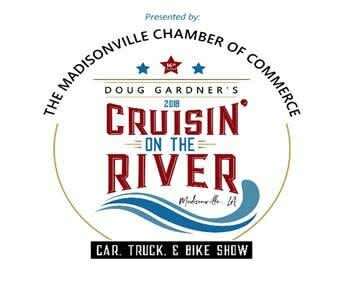 Car owners interested in entering their car or truck in the show can do so beginning at 9 a.m. on event day in Madisonville Town Hall located on the riverfront. Cost to register a car is $25 per vehicle. Only cars that are registered will be eligible for awards and prize giveaways. Spectators are invited to view the cars and participate in other activities. Admission is free to the public.